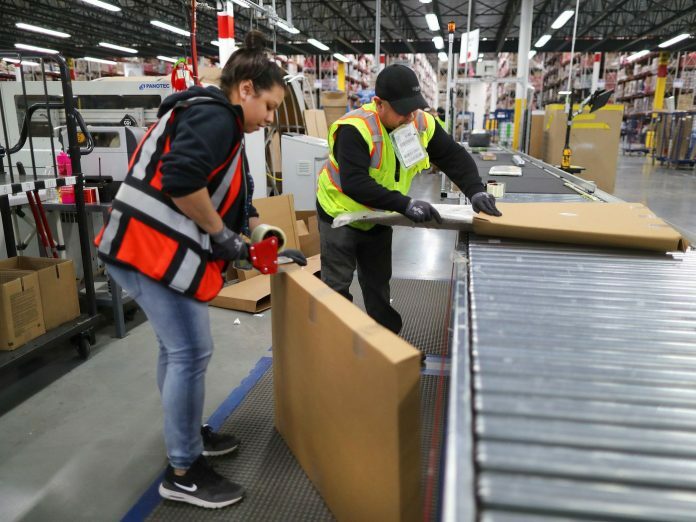 The economy is growing strongly, the unemployment rate has been at or below 4.5 percent for 16 straight months, but wage growth remains disappointingly low. Wages are growing much more slowly than the last time we had sustained low unemployment rates, the late 1990s. This is the notorious “wage puzzle,” a topic that has been the subject of much speculation by everyone from Federal Reserve Chair Jay Powell to pretty much every economist I follow on Twitter. A variety of explanations have been proposed: Perhaps wages lag because there’s more labor market “slack” than there appears to be (the result of low labor force participation), or employers may be wielding new market clout against workers, or the trend could be a byproduct of the fact that wages are still effectively adjusting from the recession. Or perhaps inequality itself produces a dynamic that drives down wages. My interpretation of the wage puzzle produces a different answer: This is simply what a high-pressure economy looks like when productivity growth rates and inflation are both relatively low. Some of the other explanations — including inequality, an especially popular answer these days — appear to point in the wrong direction. For instance, despite what you may have heard, economists broadly accept that in the past few years, wage growth has actually been stronger at the bottom than at the top. My preferred explanation for the wage puzzle involves a reinterpretation of the rapid increase in average wages in the late 1990s, a period that is often held out as a model for what we should be trying to achieve now. Tight labor markets contributed to the wage growth then — just as tight labor markets contribute to wage growth today. 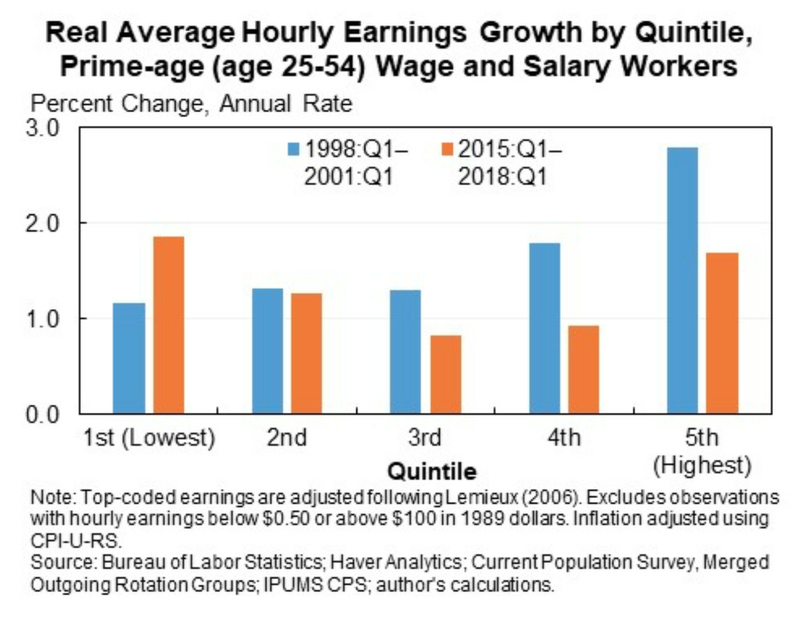 But in the late 1990s, average wages also were particularly strong because of both high productivity growth and the large increase in inequality that led to very rapid increases in wages at the very top. In contrast, today inequality is actually falling in some dimensions and rising more moderately in other dimensions. The moderation of the pace of increase in inequality in no way takes away from the urgency of combating inequality, which remains very high by almost any standard. But it does make it hard to argue that recent wage stagnation is driven by inequality. 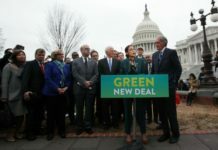 It is a mistake to think that the deck is so stacked against workers that any gains in efficiency will just go to increased corporate profits. In fact, the biggest problem for wages in recent years has not been that corporations are getting all the gains but that the gains are not nearly large enough overall. What is the wage puzzle? The growth rate over time is shown in the figure below, smoothed over three-year periods to highlight some of the underlying trends. I am using one particular wage measure, but other measures tell the same story. We need to adjust for inflation, which is lower now than in the late 1990s. When we do that, it changes the picture considerably. While inflation varies a lot from year to year, especially because of those volatile energy prices, the underlying inflation trend and expectations for the future were higher in the late 1990s than they are today. This slowdown in price inflation is, itself, somewhat puzzling. It may in part be caused by a general anchoring of expectations as price setters expect the Federal Reserve to reliably keep price inflation low, a view that can become self-fulfilling. This anchoring effect may be stronger today after 30 years of low inflation than in the late 1990s when memories of high inflation in the late 1970s and early ’80s were still fresh in people’s minds. Whatever the explanation for lower price inflation, it is clear that workers ultimately care about how much their purchasing power is going up. And with lower inflation now than in the late 1990s, any increase at all in paychecks goes a bit further. When we take lower inflation into account, instead of a 1.4 percentage point slowdown in nominal wage growth, we only need to explain a 0.7 percentage point slowdown in real wage growth (that is, wage growth adjusted for inflation). Over the past 35 years, we have seen a substantial increase in inequality for a variety of reasons, which include a slowdown in increased educational attainment, the erosion of labor unions, the erosion of the minimum wage, and increasing monopsony power by employers — that is, the market power to set wages. Does this help explain the slower wage growth in recent years? The answer is no. In fact, inequality has been complicated lately but, on balance, has ameliorated the wage slowdown, not made it worse. We are well-trained to recognize the fallacy in the statement “workers should be happy that average incomes grew strongly.” Most people would quickly respond: “That is misleading because you are looking at average growth, which might tell you more about how the very high earners are doing than how middle-income workers are doing.” But we seldom ask whether the reverse might be true — if the disappointments many observers have been expressing in the average wage numbers may reflect the opposite phenomenon. Put another way: Could recent wage growth be stronger at the low end of the wage scale than in the middle or upper middle of the distribution? In fact, that’s exactly what appears to be the case, at least partially. In the past three years, workers in the bottom two-fifths of the income distribution have seen comparable or faster real wage growth than they did in the late 1990s. Higher earners, meanwhile, have seen much slower wage growth than they did in the 1990s. This trend is clear in the data but little understood among the broader public. In the three-year period I am focusing on, we have seen some narrowing of inequality, measured as wages at the top relative to the bottom (the 90-10 ratio), although there has been a continued widening of inequality relative to the middle (the 90-50 ratio). And note that the slowdown in the increase in inequality is not just for this particular measure for this particular period — again, contrary to conventional wisdom. CEO pay skyrocketed in the 1990s, for instance, but since then it’s been stable (at a very high level, to be sure) relative to the wages of average workers. Similarly, the share of income going to the top 1 percent rose much more sharply in the two decades before 2000 than the nearly two decades since. So a substantial part of the wage puzzle involves upper-income workers. The large majority of the difference in the slowdown in average wage growth relative to the late 1990s is due to slower wage growth for workers at the top. 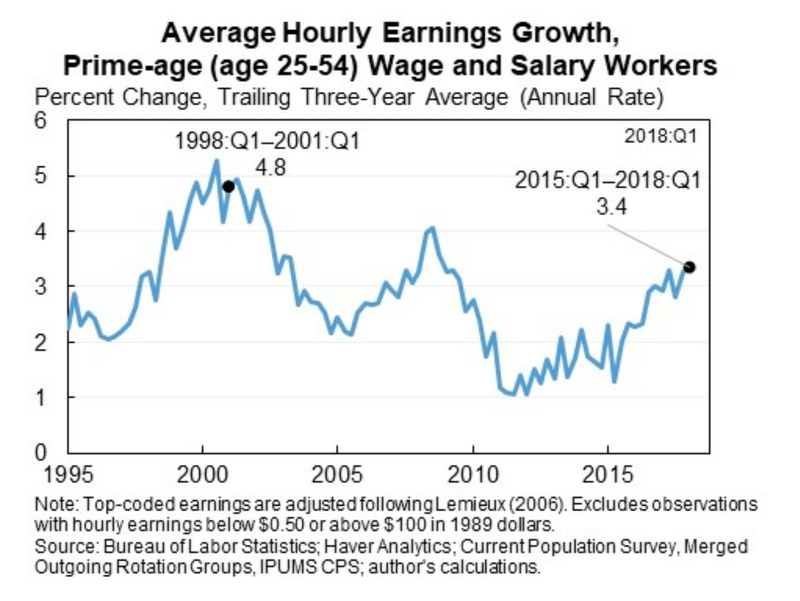 So with that in mind, which would we rather have: the 3.4 percentage point annual wage growth in the past three years, or the 4.8 percentage point annual wage growth in the late 1990s? It depends who “we” are. Roughly the bottom third of the income distribution would be better off under today’s lower growth rate because with inequality rising by less (and decreasing in some respects) they are getting a greater share of the subpar wage growth. The majority of workers, however, would still be better off with the faster productivity growth of the 1990s, even though it was accompanied by faster increases in inequality. The median worker, in particular, is experiencing real wage growth that is 0.5 percentage points lower than it was in the late 1990s. That is less of a slowdown than for the mean worker that we usually look at in the data (0.7 percentage points), but it is still meaningful. What could explain it? Lower productivity provides much of the answer. The standard economic theory is that wages are determined by productivity. When workers in one country can build, say, cars better and more quickly than workers in another country, their average wages will be higher. This helps explain why average wages are higher in the United States than in India. Like most standard economic theories, this one is missing a lot, but it is the best place to start in understanding wages. Productivity does a good job of explaining the evolution of average wage growth in the United States as well, especially prior to 2000. (But it does a decent job even since then, even with the wage slowdown.) From the end of World War II until around 2000 average wages grew almost in lockstep with productivity — if you use the same measure of inflation for both concepts, so the comparison is apples to apples. Often, presentations of the comparison between wages and productivity, as in this much-reproduced graphic, use a higher inflation measure to adjust wages than productivity and thus produce a misleading impression. Productivity growth has slowed dramatically in recent years in the United States and almost all other advanced economies as well. Productivity growth was spectacular in the late 1990s, rising at 3 percent annually. It has been dismal in recent years, rising at only a 0.7 percent annual rate. That’s part of the explanation for slow wage growth: Based on the productivity numbers alone, one would predict that average wages would be growing about 2.3 percent more slowly than they did in the late 1990s. This one fact more than explains the 0.7 percentage point slowdown in real wages relative to the late 1990s or the slightly smaller 0.5 percentage point slowdown in median wages since then. One of the most widely cited explanations of the wage puzzle is that there is more “slack” in labor markets today than in the late 1990s. It’s important to note, however, that this is not true according to the standard measures economists use to assess how tight labor markets are. The official unemployment rate is similar to what it was in the late 1990s, and the short-term unemployment rate (those unemployed 26 weeks or less), a potentially better measure of slack, has been even lower. The “quit rate,” the number of individuals voluntarily leaving their jobs (and not for retirement) as a percentage of total employment, is another measure of the confidence workers have in the job market. It’s also around the same as its highs in 2000 and early 2001. 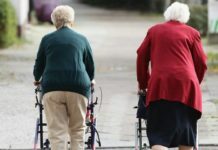 Nonetheless, some economists have emphasized that the fraction of people between ages 25 and 54 working is still 2.3 percentage points below where it was in 2000, and have argued this is an indication that there is still substantial slack — that overall labor force participation has fallen. I am skeptical of this argument (as is Paul Krugman). The biggest reason is that the labor market is not behaving as if it has 2.3 percentage points more slack than it did in the late 1990s. If we had that much slack, you would expect much slower wage growth. You’d also expect the labor share of income to continue to fall, yet we’re seeing modest increases on this score. Given my explanation for the wage puzzle, what can we do to boost wages? The most immediate answer has to do with the most straightforward dial we have in economic policy: the Federal Reserve’s setting of interest rates. Labor markets are much tighter now than they were just a few years ago and are roughly as tight as they were in the late 1990s. But that does not mean we could not do even better. We have no idea where full employment actually is. I see little downside to continuing to push the envelope — in fact, more people have reentered the workforce in the past two or three years than I had been expecting. Interest remains at remarkably low levels, especially given the low unemployment rate. The Fed’s gradual rate hikes do not amount to hitting the brakes; the Fed is just easing off the accelerator a little. So I think the Federal Reserve has it just about right. The more durable efforts to raise wages should involve combating inequality. There is clearly scope to raise wages for workers at the bottom and, hopefully, the middle, without harming productivity very much and in some cases even helping it. The progress we have made in decreasing some measures of inequality in recent years is an argument for more policy in this area, not less. The strong wage growth for workers at the bottom of the distribution is partly the result of efforts that have raised the minimum wage in 21 states and DC since the beginning of 2014. This success should encourage us to do more. We should increase competition through more vigorous antitrust enforcement, by strengthening workers’ bargaining powers, and by reducing the ability of companies to use measures like no-poaching contracts to get leverage over their employees. There is still a lot of room for workers to get the type of larger share of the economic pie that they did in the past. Greater productivity growth holds the potential of being the most powerful source of sustained wage growth across the income spectrum, but we likely do not have policy tools that will quickly and sustainably increase growth. I’d take a chance on every tool we have (provided it does not have negative side effects). That means investing more in infrastructure, research, and education, along with a genuine tax reform. We can improve economic efficiency while making revenue levels more sustainable by raising top individual and corporate tax rates and improving the tax base. The wage puzzle is not particularly puzzling when you think about what determines wage growth. The policy solutions are even less of a mystery. We may not have the solution for magically improving productivity. But there’s a lot we can do to continue to increase wages for all workers. 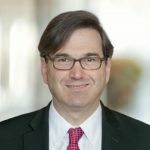 Jason Furman is a professor of practice at Harvard Kennedy School and a senior fellow at the Peterson Institute for International Economics. 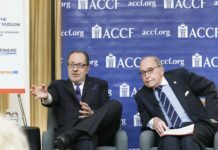 He was chair of the White House Council of Economic Advisers from 2013 to 2017. Find him on Twitter @jasonfurman.